The mission of Avatar in the world is to catalyze the integration of belief systems. 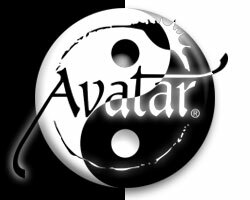 To the people who have taken Avatar or The Avatar Master Course, this "mission statement" is so instinctively obvious that little is ever said about it. Even when Avatars are countries apart, there is a natural alignment that causes their efforts to forward the mission. Orders and supervision are rarely necessary. Attempting to explain this spontaneous cooperation to someone who has not yet experienced Avatar is an interesting challenge. Clearly one cannot draw a circle or circumscribe a quantity or quality without creating an inside and an outside. Whenever a line is drawn, two sides appear. They may be in-side and out-side, as in the case of a circle, or right-side and left-side in the case of a vertical line, or near-side and far-side in the case of a horizontal line. This two-sided principle is known as dualism or polar relativity, or simply by the Chinese rendition of yin and yang. The light depends upon the dark; the direction "up" cannot exist without also determining the direction "down"; what is "good" is relative to what is "bad"; and what "should" be done determines as well what "should not" be done. When the primal awareness, which neither contains nor is contained, acts to define itself, it defines as well what it is not. In one brush stroke, two sides appear: the I am and the other. This awareness of definition is the birth of consciousness. Consciousness knows itself as what it has defined itself as, or one side of the line or boundary that has been created. Thus it has reduced its ownership and control of creation by half. How many more times can consciousness reduce its ownership and control by half? If it were to define and deny itself thirty-one times (i.e., thirty-one geometric divisions), the two-billion plus “others” on the planet Earth would be accounted for. If these two-billion plus were then to divide and deny themselves ten more times, every creature and every creation in the Universe would probably be accounted for. The life that each of us experiences is an interplay of resisted and desired motion between the qualities and quantities that we create and define ourselves as and the qualities and quantities that we create but assert that we are not. (Conscious intention is merely a knowing shift of identification.) To an Avatar Master who experiences a non-dual essence, life is simple and fun. 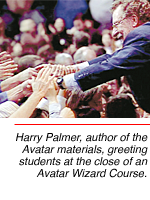 An Avatar Master teaches the use of tools and techniques for bringing about a reconciliation between the factors that the student feels as I am and the factors that he or she feels as I am not. This is more than an understanding. As progress is made, the sides begin to fade and disappear. The Avatar student begins his or her own re-engineering of consciousness––knocking down walls, opening spaces, changing directions and quickly finds a sense of harmony with and wholeness about existence that prior to initiation by the Avatar Master only the esoteric few have ever experienced. With this harmony and wholeness comes a natural, rational extension of space and genuine tolerance of others. Communication opens up; viewpoints are explored and modified; separation and difference begin to dissolve into the illusory specters they have always been. An effortless love is born. "...to catalyze the integration of belief systems."